Events are approximately 60 minutes long. During the first 10 minutes Jim will share about how the frequencies of this music engage with the heart center and offer suggestions to ensure you have the most profound experience during the event. NOTE: A specially created Pre-Event Music Video will begin 30 minutes prior to the event. Log-In early, relax and set your personal intention. After the event is complete, we suggest you meditate in silence for another 15 or more minutes. Jim was a guest presenter for our Your Year of Miracles program. He shared this music to open the heart to love. Our participants were over the moon about their powerful experience AND for weeks after, they continued to share their results of experiencing profound moments of heart opening. Jim Oliver is a globally recognized pioneer in sound healing. He has now added the dimension of coordinated colored light frequencies to his award-winning expansive and transformational music. 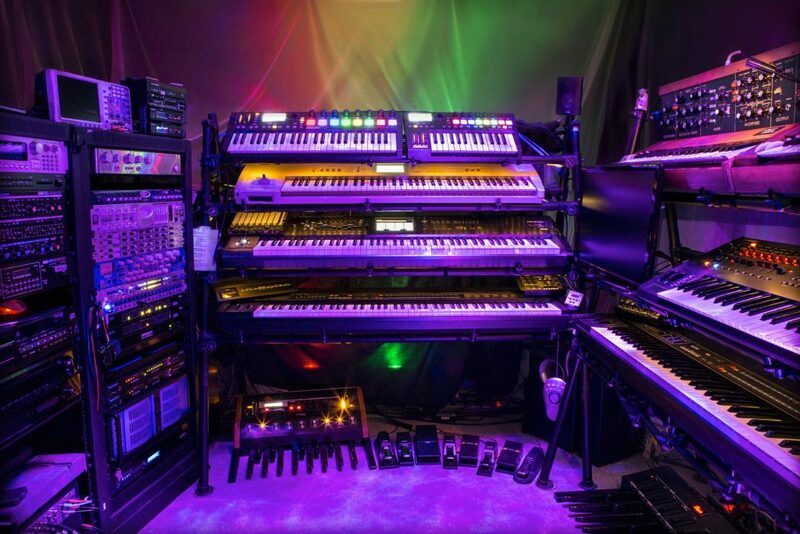 Jim recently developed a unique lighting system he calls Harmonies of Light that “plays” the colors that are mathematically and harmonically related to the musical notes he plays on his keyboards as he welcomes the Music of the Spheres. IMAGINE how amazing it will be to simultaneously connect with people from all over the world who are present – in synchronicity – in the moment – sharing the mindful vision of Unity and Oneness. Jim’s transformational music is immediately accessible and an ideal way to help you dis-entangle from the programming of dis-stress, dis-connection, distortion, dis-harmony, dis-ease…unravel and completely release attachments and soothe your spirit and emotions. Become one with the music and colors and be free to be your True Self…the Divine Essence you already are. Set your own personal intention for your highest purpose as Jim tunes into the group that is present in the moment and with those that will connect in the future. This event will energetically connect you with people from all over the world, simultaneously resonating with love, open hearts and in mindfulness of Oneness – at the speed of light. My passion is to be a vessel for the highest Source frequencies possible and to deliver these frequencies to you through the music and color. Thank you so much for the blessing of your “Harmonies of Light” livestream broadcast. I am so deeply moved and transported by the love and peace that you create. Your music is celestial. I thank you for your guided and loving service. What an amazing experience! The cells in my body where resonating with the music, an absolutely energizing experience. Thank you. 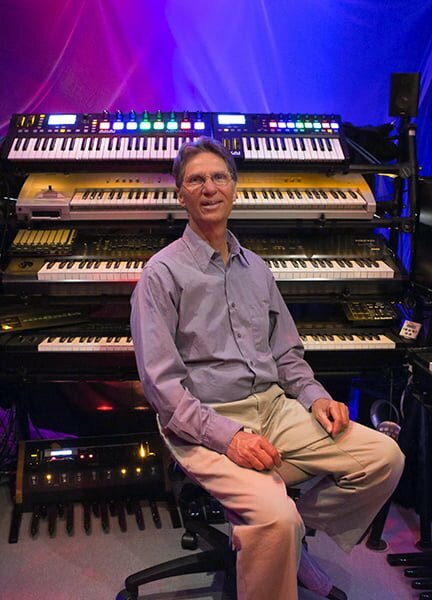 Emmy Award winning, multi keyboardist musician and composer Jim Oliver is a highly regarded pioneer of healing with sound and color. Since 1982 he has created more than 3500 hours of transformational self-healing music. Jim’s musical career has encompassed a vast range from performing with a symphony orchestra to being a composer-in-Residence at Sundance Institute with Robert Redford. He is an extremely popular guest on radio shows and tele-summits world-wide. Jim’s music study began nearly 60 years ago when at age 5 he began piano lessons. Ultimately, Jim majored in Classical Organ at Hartt College of Music. He has passionately pursued the understanding of how music resonates with Body, Mind, Spirit and Emotions with the vision of being of the highest service through music and harmonized color. Jim’s special gift is to spontaneously welcome the Music of the Spheres. You experience the music with every cell in your body and the very Essence of your Beingness. Jim has recently developed Harmonies of Light – A one-of-a-kind lighting system that as Jim plays live music, the mathematically related colors shine. This is a profound, multi-dimensional experience. Jim livestreams Harmonies of Light Music and Color Experiences to people simultaneously connecting with each other from all over the world. This offers an expanded, harmonized place for self-healing and self-awareness with high coherence and full integration with Your True Self.